The list of all characters that are going to die in 'GOT' season 7 episode 6! Be careful: major spoilers on "Game of Thrones" season 7 episode 6 will follow! Several characters are going to die in the next episode of "GOT", titled "Beyond the Wall." The episode is going to be one of the best so far, with a lot of action-scenes and a few, extremely moving scenes. In episode 5 Jon Snow reaches Eastwatch-by-the-Sea where he ventures beyond the Wall with ser Jorah Mormont, Gendry, The Hound, Beric Dondarrion, Thoros Of Myr, Tormund Giantsbane and a few other wildlings. Jon wants to capture a wight to use as proof of their return and existence for Cersei Lannister. As we can see from the episode's trailer, Jon's team is going to meet the Night's King, other White Walkers and hundreds of wights. Let's start with the couple of anonymous freefolk that joined Jon's team. They're all going to die. Simple as that. Sadly, they're not the only ones who are going to lose their lives in the deep north. Three major characters will die as well. The first major character to die in 'GOT' season 7 Episode 6 is Thoros of Myr. The red priest and noted warrior will freeze to death shortly after sustaining injuries from a wight polar bear the crew encounters beyond the Wall. Thoros of Myr's death means Beric Dondarrion is down to his last life. After facing death again in the water of a frozen lake, Jon Snow will be rescued by his uncle Benjen Stark. The rest of the crew, saved by Daenerys Targaryen's intervention, is flying away on Drogon's back when Jon emerges from the lake. Hundreds of wights approach him when someone suddenly attacks the Night's King's soldiers. Benjen Stark swings his flaming flail against the wights and gives his horse to Jon, who rides back to the Wall while Benjen is surrounded and killed by the wights. Yes, the rumoured death of Viserion is really going to happen. In the next episode of the show, The Night's King himself hits the dragon with an ice spear: Viserion's blood rains down from the sky and the dragon crashes into the frozen lake and sinks. At the very end of the episode, the Night's King approaches the dragon and touches his head. Soon Viserion opens his eyes again, and they're blue. 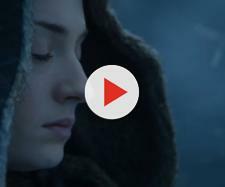 As many fans already know, episode 6 leaked after HBO Spain accidentally broadcast it for an hour. 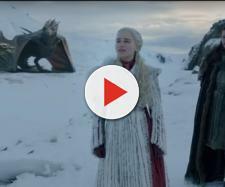 The video has been ripped and then posted on Reddit, YouTube, Facebook and other websites before HBO Spain took it down. We strongly suggest the fans to wait until Sunday to watch this amazing "Game of Thrones" episode in Full HD on a proper television. Don't forget! The sixth episode of "Game of Thrones" season 7 airs on August 20, on HBO.